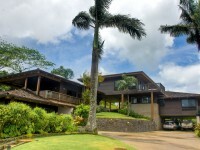 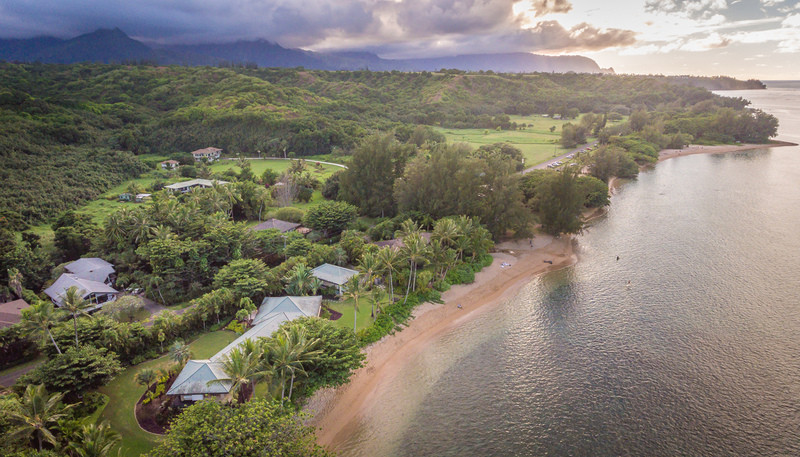 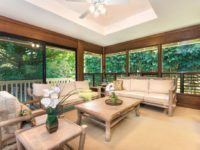 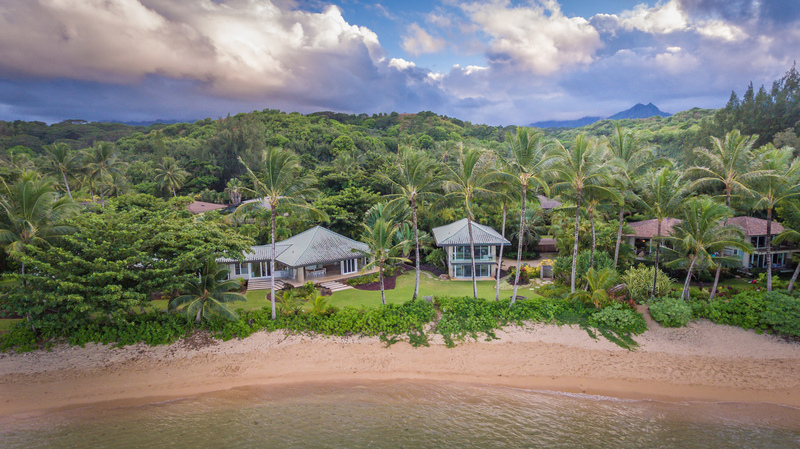 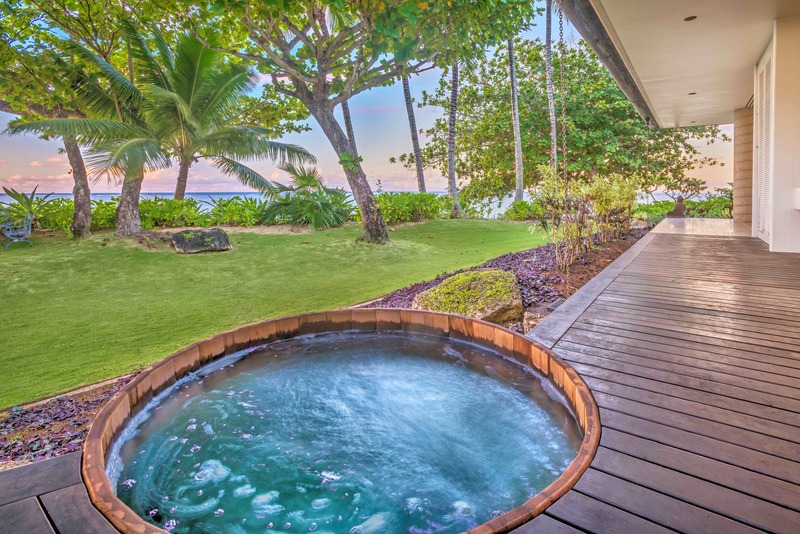 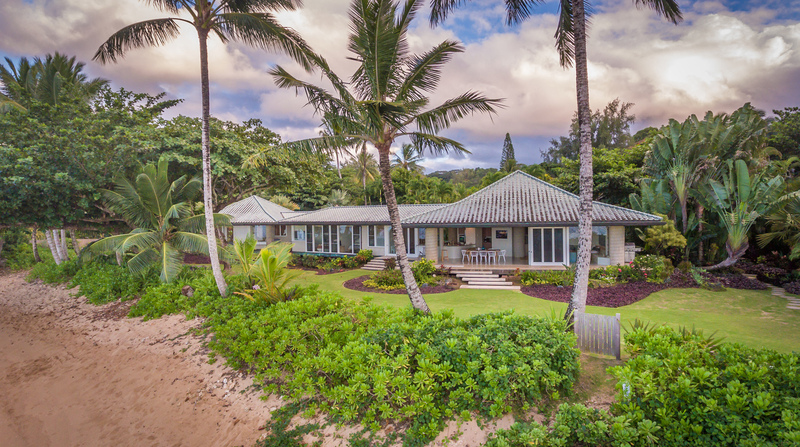 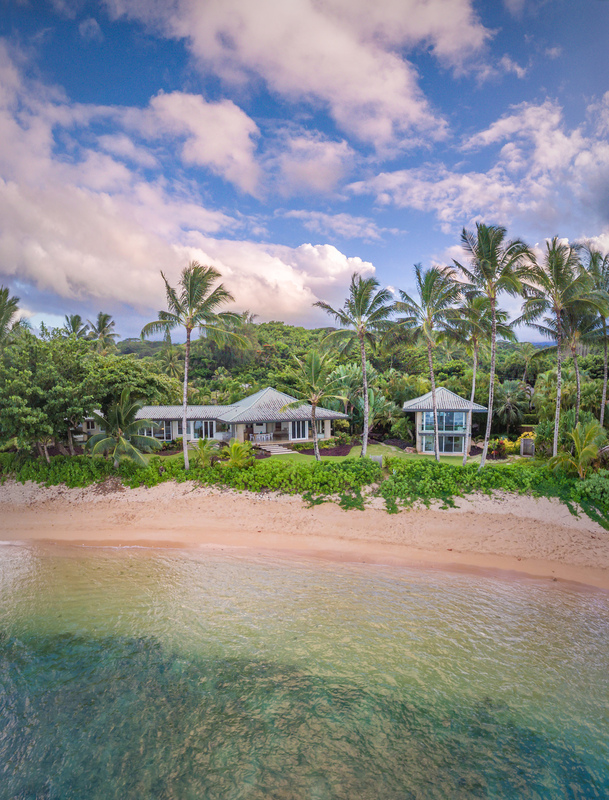 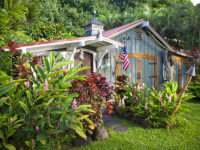 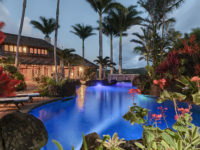 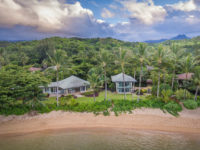 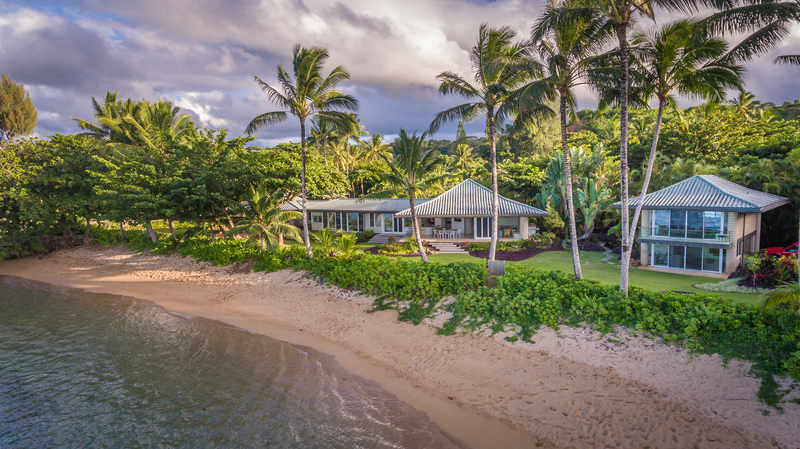 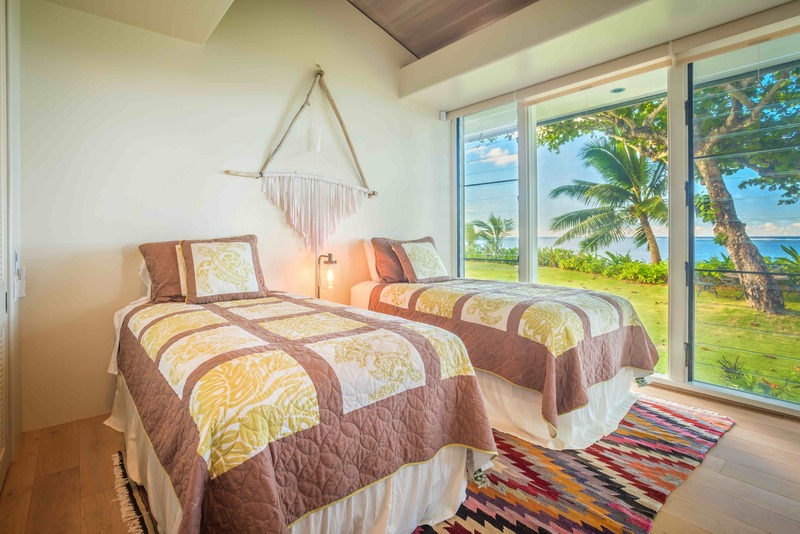 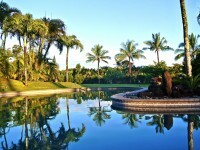 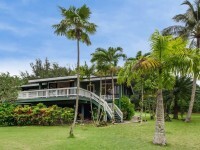 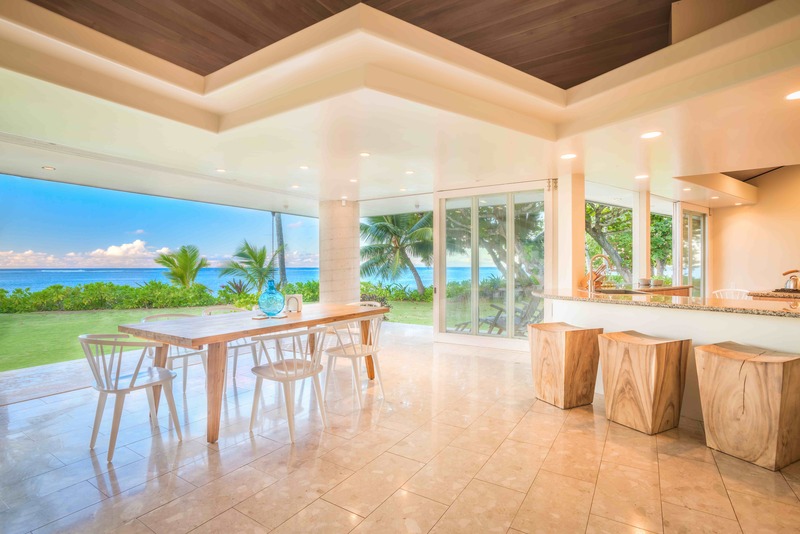 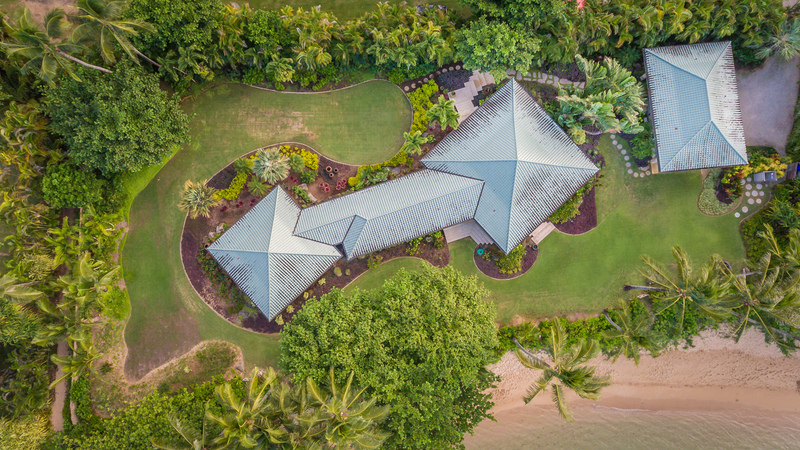 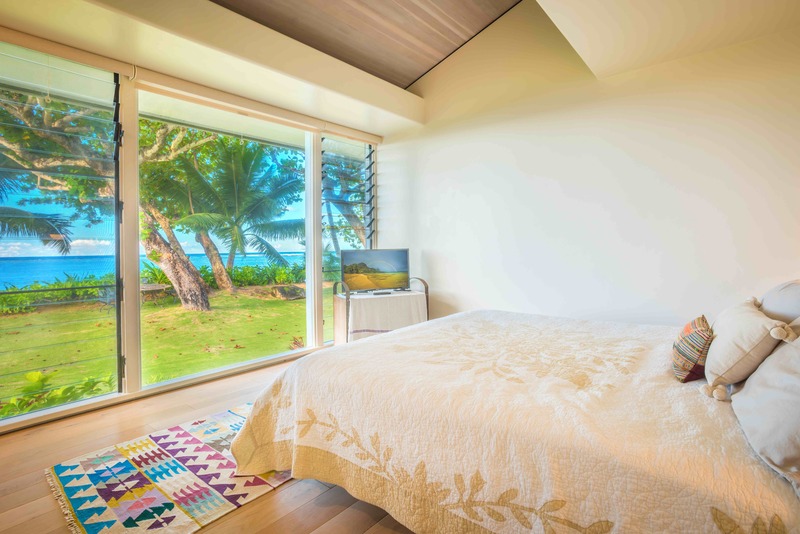 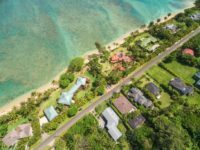 ANINI BEACH, KAUAI VACATION RENTAL: Keawaihi is set on a roomy one acre oceanfront site landscaped with swaying palms, Hala, native Naupaka, and fragrant Tahitian Gardenia. 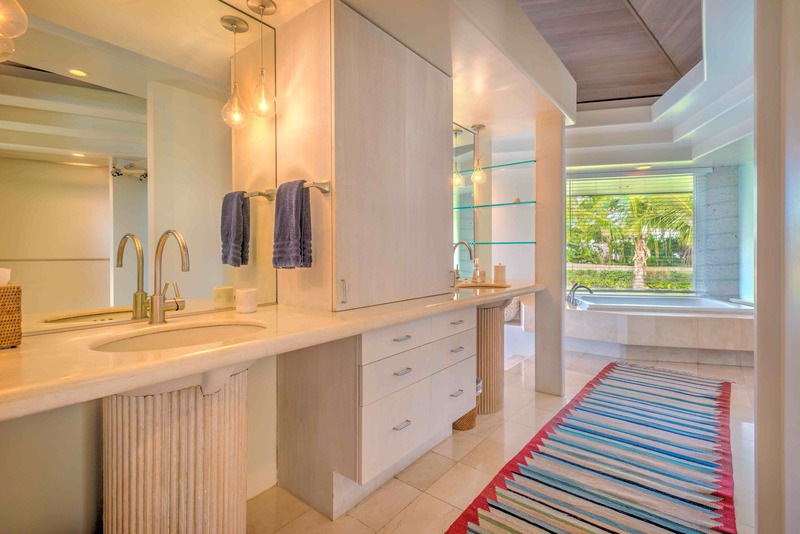 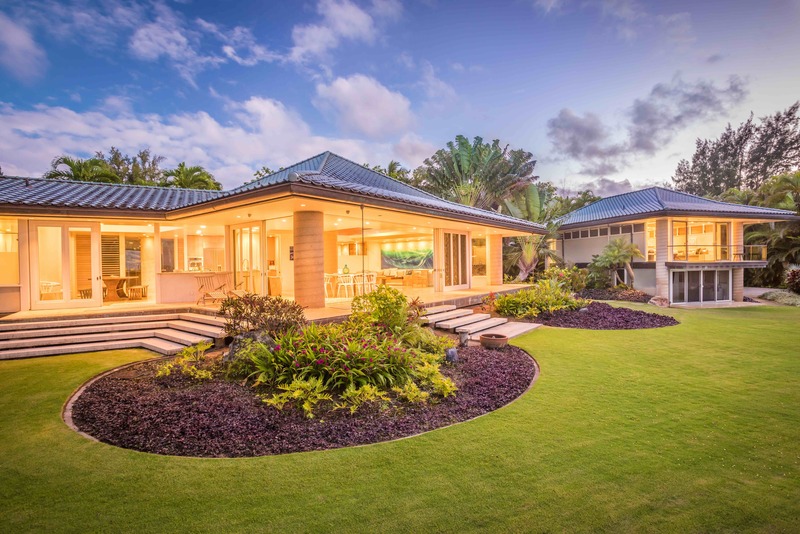 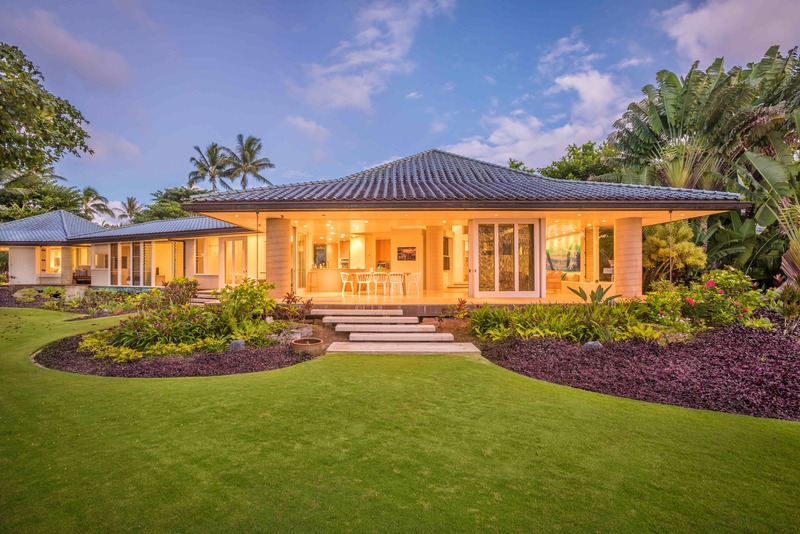 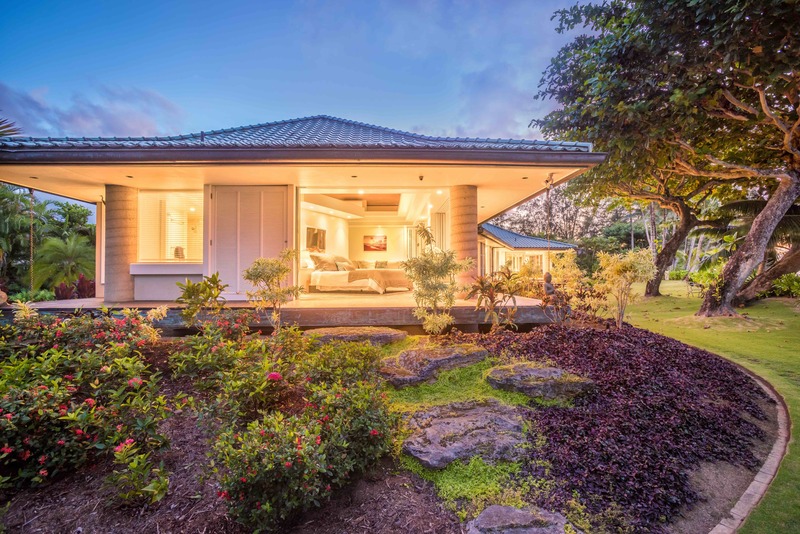 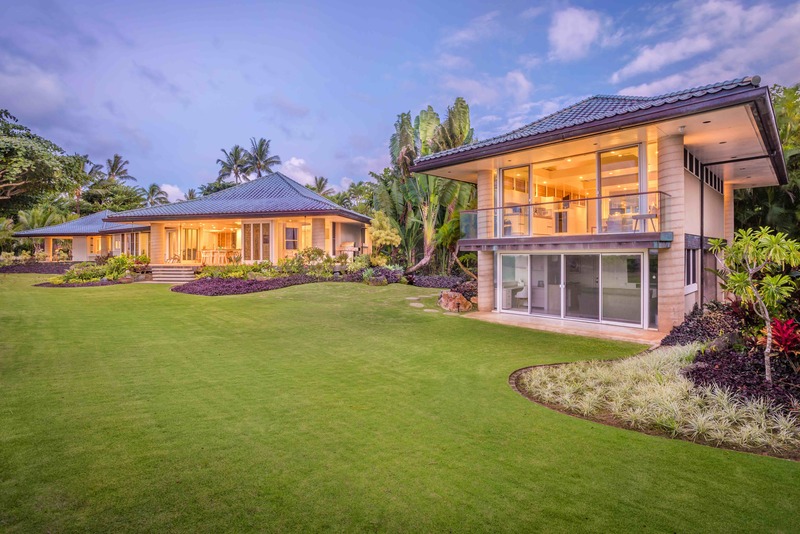 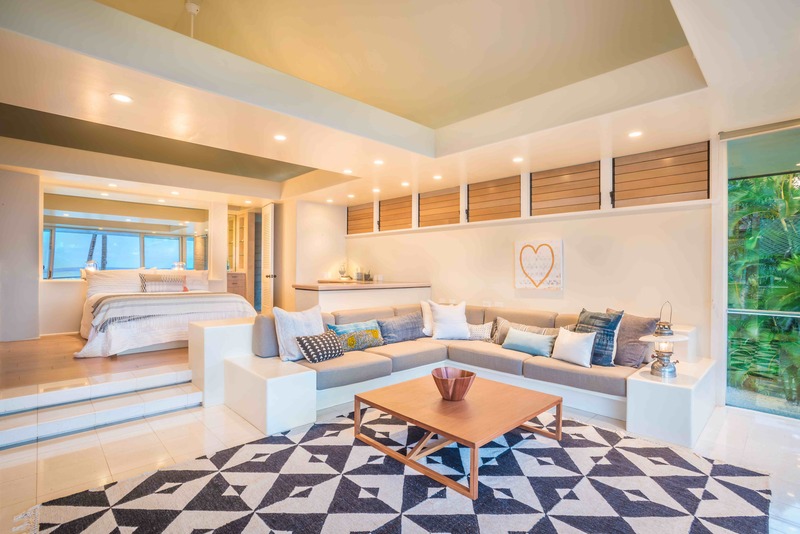 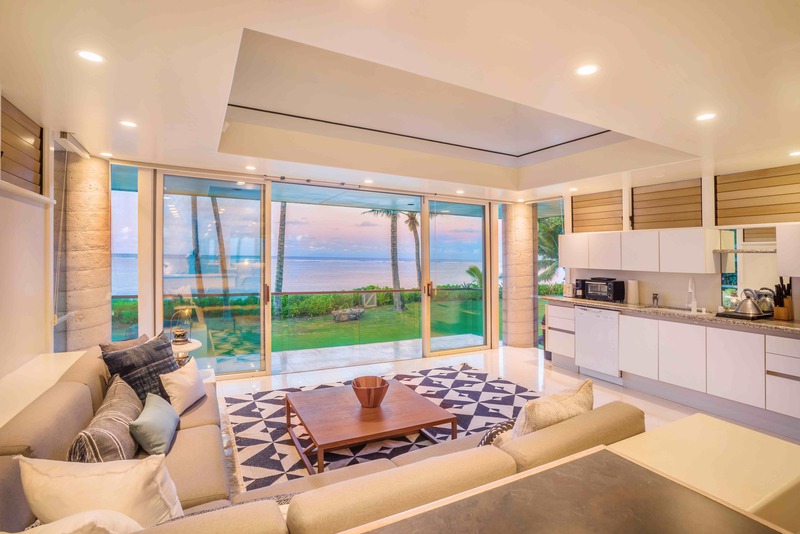 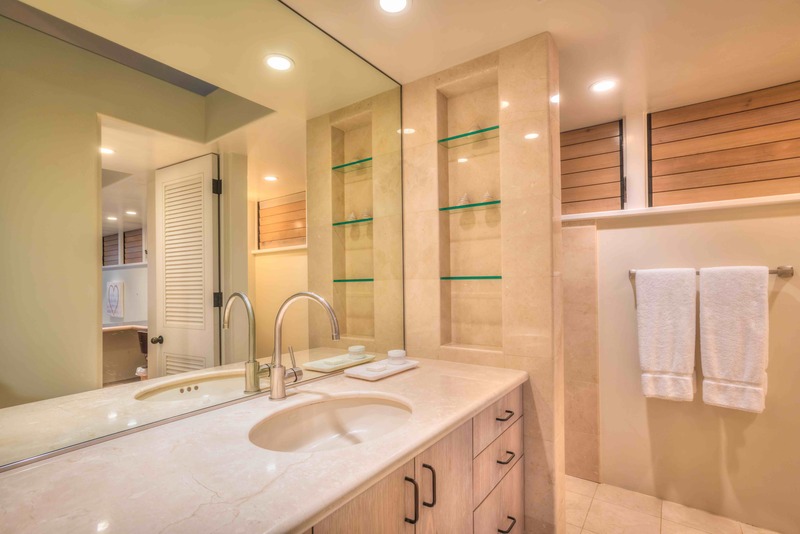 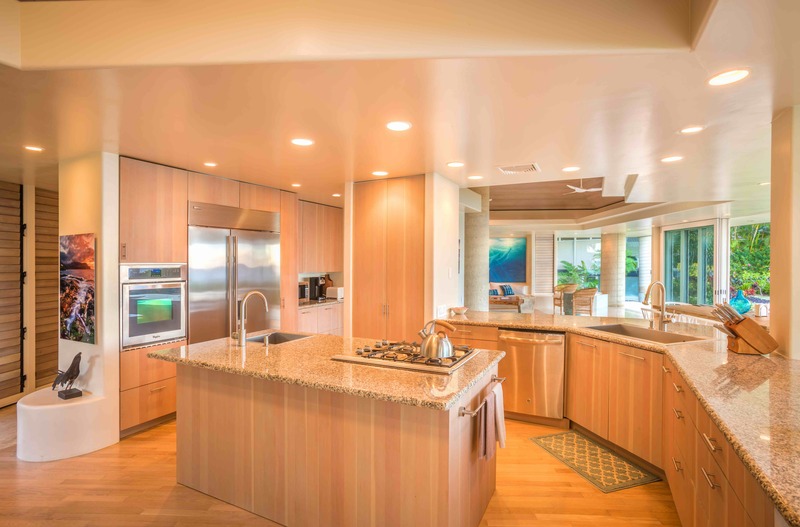 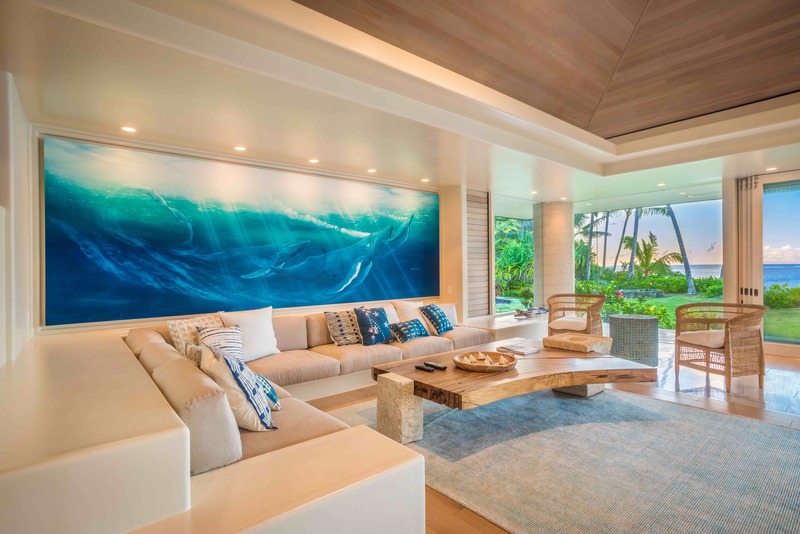 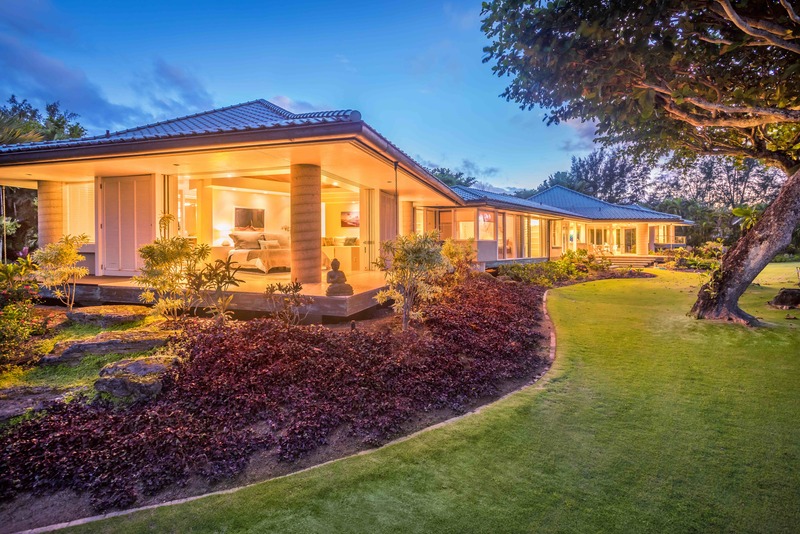 This 4,000 square foot single story home is a subtle mix of Japanese, Hawaiian, and contemporary styles that blend richly with the surroundings. 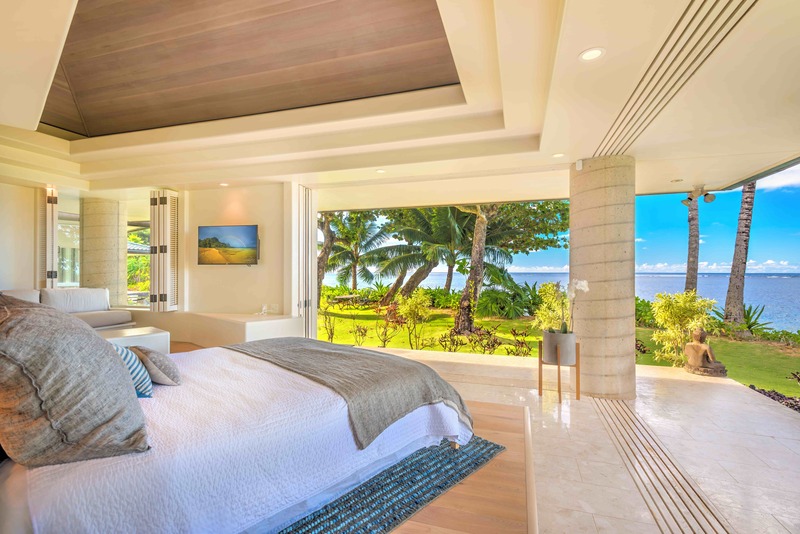 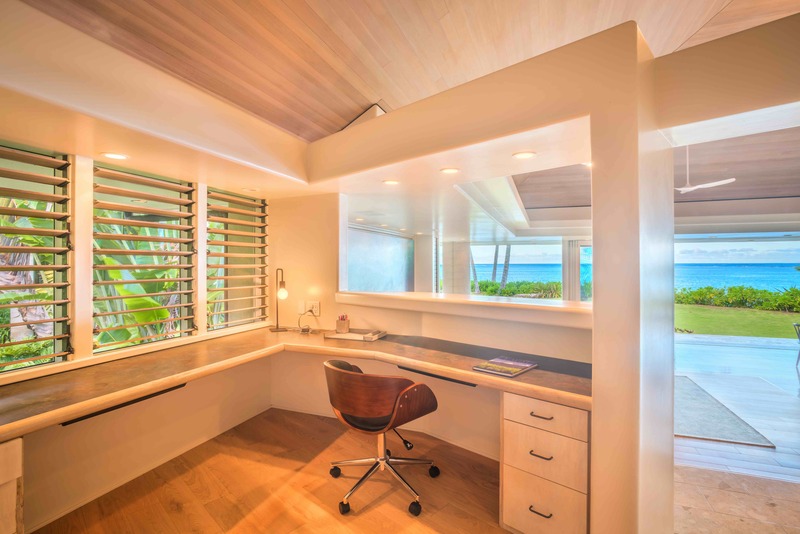 Both the living, dining and master bedroom areas have floor to ceiling glass doors that disappear into the walls allowing the magnificent ocean air to flow through the interior. 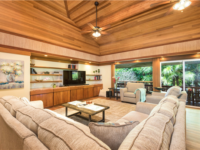 The house does have central AC too! 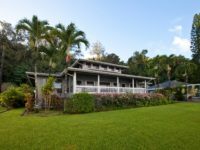 A detached guest house sits above the garage offering panoramic ocean views of ANINI BEACH lagoon and reef. 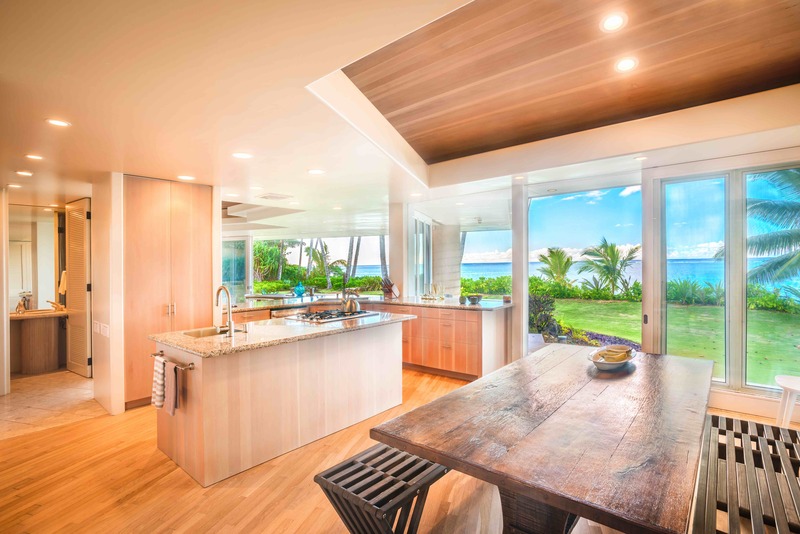 The split-level interior preserves the view from the bedroom over the living area and state of the art kitchen. 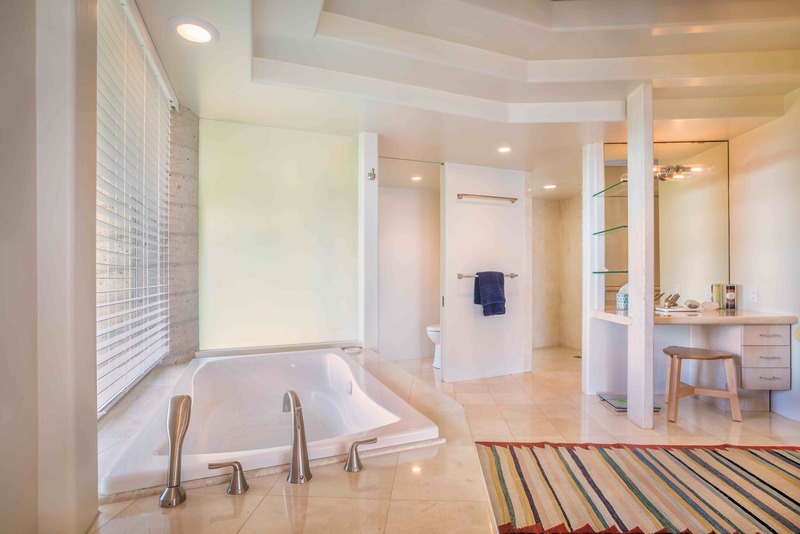 The marble floors and lush carpet are a delight and the louver windows offer just the right air flow year round. 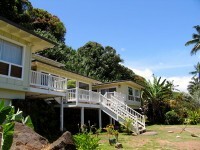 The guest house is only available with the rental of the main house. 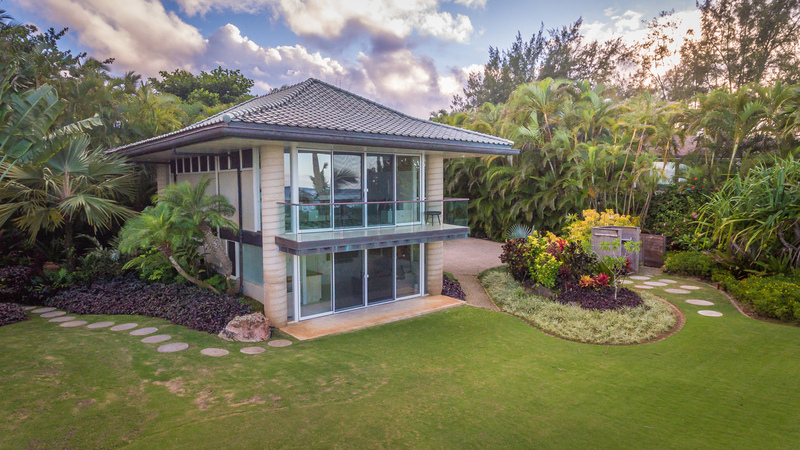 Enjoy the beautiful gardens, tastefully landscaped too ensure privacy while preserving the ocean views. 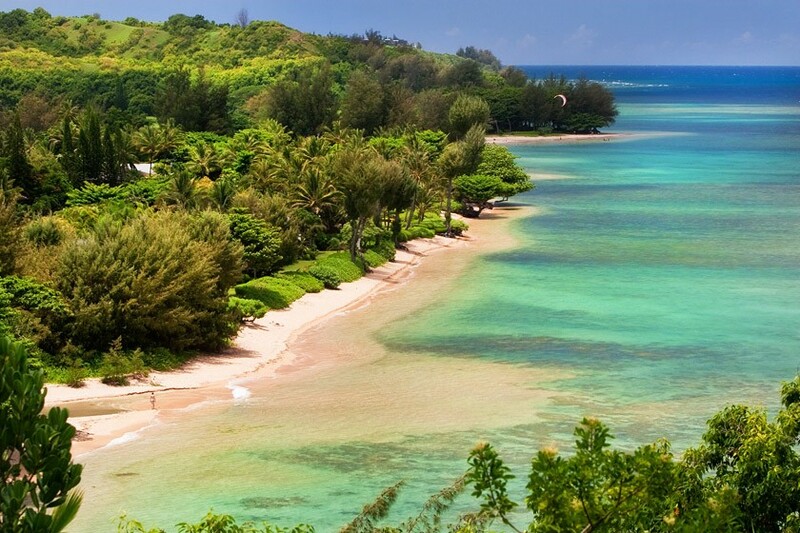 Safe swimming year round in a lagoon protected by Hawaii’s longest continuous coral reef. 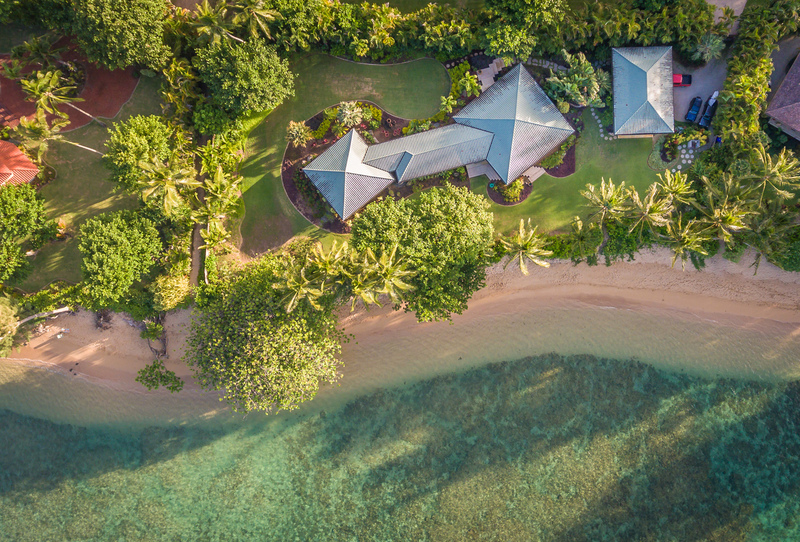 Snorkeling, windsurfing, and deep sea fishing are some of the many fun activities available at ANINI BEACH. 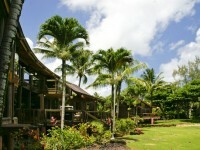 *Maid Service of once a week will be required for stays longer then 7 nights.